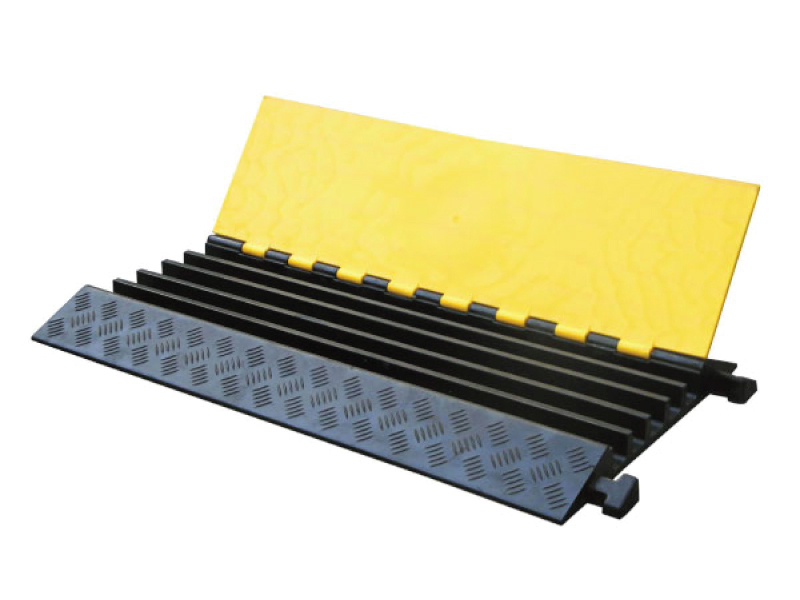 This heavy duty cable protectors has Large Channels for the protection of a large number of wires. 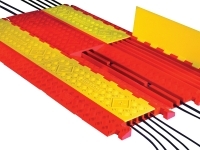 The hinged lid allows for top loading of cables for convenience. 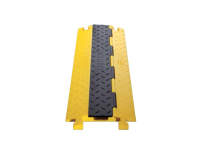 Made of heavy duty Polyurethane, it is suitable for use outdoors and indoors in most weather conditions. 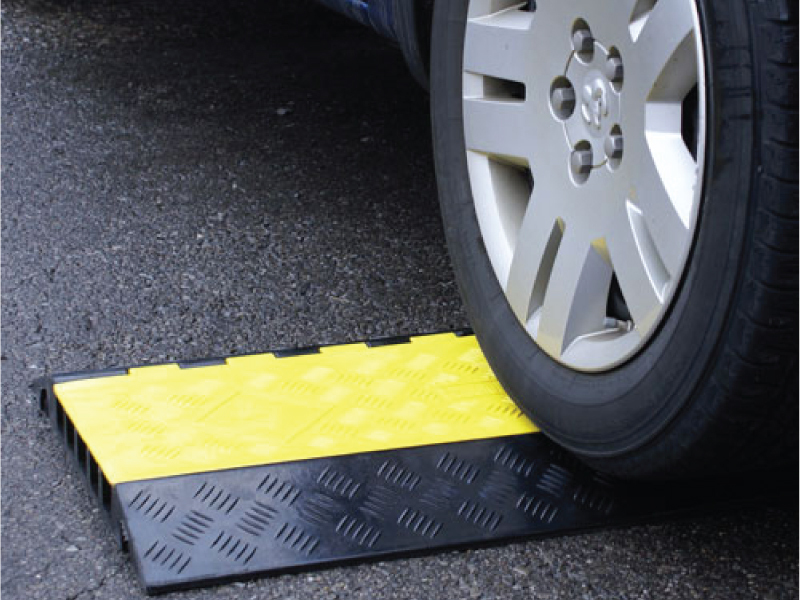 The black base and yellow lid is highly visible. 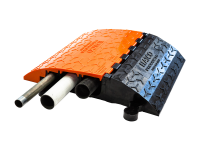 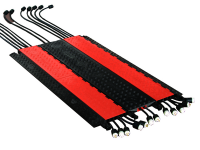 These units will protect your cables from vehicles of up to 36000 pounds per axle.